Speaking at the convention, Deputy Heydon said “I am delighted with the calibre of our three candidates selected this evening. They provide a strong and well balanced team across community, locations and styles. 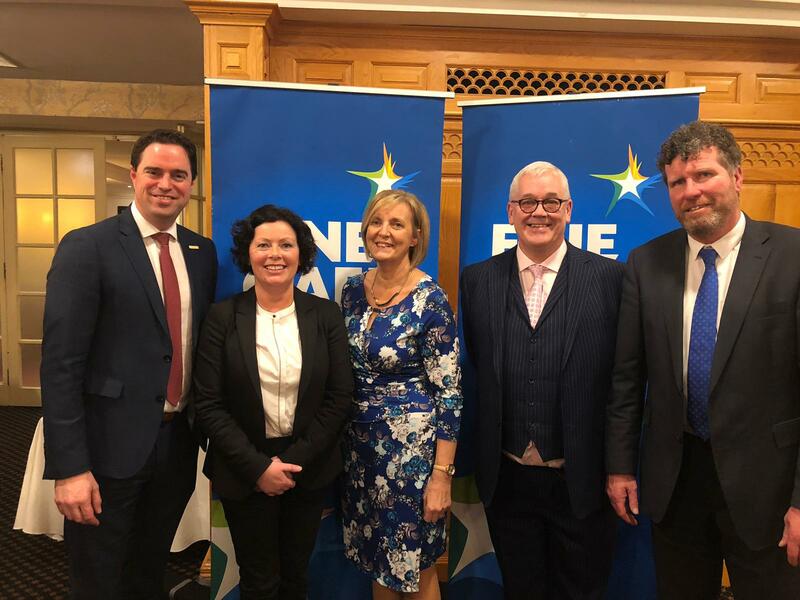 “Fine Gael wants to increase its representation in this newly created electoral area to provide strong balanced representation to the people of Newbridge, Kilcullen and Caragh. Newbridge as the largest town in the County has great potential in the coming years to take advantage of Government Funding like the development a new cultural quarter and the expansion of St. Conleths Park, but we also need to elect Councillors who will push Kildare County Council to progress to shovel ready stage, projects like the second bridge for Newbridge, to leave us best placed to access future Government funding. “The town of Kilcullen has moved to a third electoral area in 3 elections having been in the Naas area in 2014 and the Athy area in 2009. As a strong community driven town, Kilcullen needs its own Councillor to represent the town and its hinterlands including Brannockstown and Two Mile House.